Here are a variety of indoor gardening activities to get the kids thinking about the outdoors again. Seed Balls, of course! Not buying them, making them! It’s a blast, and it doesn’t need to be too messy. We’ve got supplies and tips on our website. Windowsill herbs and starters. Some herbs taste perfect in just a few weeks after germination. Maybe you won’t have enough basil for your pesto, but your plants may be big enough to remove a leaf or two for your kids to have a taste of the garden to come! Kokedama! 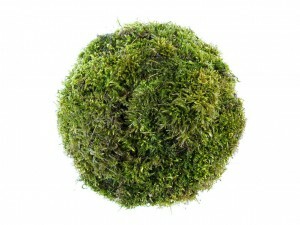 A fast version of bonsai that involves a ball of mud wrapped in twine, and moss or coir. Fun, unusual, and a very striking window plant. We’ve got supplies, here. Plan a garden layout with your kids. Let them color it, and look at photos of different plants and vegetables. Visualizing a garden can make the process seem more tangible to new gardeners! Grow an avocado pit, onion, potato, or even ginger! Try rooting houseplants, or even re-growing carrots and celery from left overs. Force some bulbs. Narcissus, crocus, and tulips. Get your hands on some seed catalogs. Set a budget for your child and permit them to pick some seeds. Help by giving realistic expectations, but also encourage your child to step out of their comfort zone, trying an unusual vegetable that’s in their favorite color, for example. Recycle a glass jar and build a terrarium. A toad house by Judy Brophy. Birdhouses. There are a number of birdhouse kits available online. Why not get some bird houses built in anticipation of nesting season! Remember that different birds have different nesting requirements. If you’re unsure what birds you can attract to your garden, check with your local DNR or university extension for suggestions and plans. Bird feeders. Build or buy one Birds will usually only take a couple weeks to find a new feeder. Make sure to keep it stocked through the rest of the winter, as birds can come to depend upon a feeder for their meals. Learn to identify some of the birds that visit, kids will love to keep track and will revel at the sight of a new visitor! Toad houses. That’s right! Upside down bowls, cups, pot saucers, propped up on rocks. Paint them up nice, maybe even the insides so the toad can have some decor. 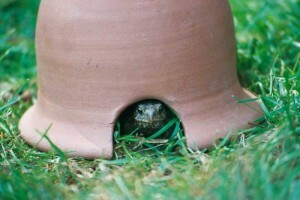 Discuss good places for your toad abodes, near shade, vegetation, and if possible, moist soil. Prepare for pollinators! What kind of pollinators are you hoping for? Butterflies? Bees? Birds? Consider building additional habitat for them. Many solitary bees don’t sting and appreciate housing that you can build affordably and attractively! Have you ever considered bee-keeping? Now’s the time of year to start building your hives and ordering a starter colony! 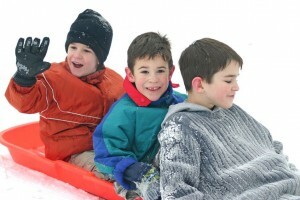 Get out in the community and plan an event with one of these activities at a public library, school, or scouting club. Work with your school or service group to get the ball rolling on a community pollinator garden! Someone has to start it, why not you and your family? 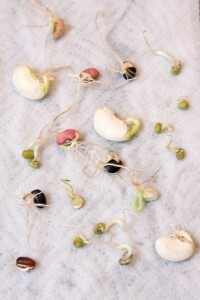 Take a portable activity like making seed balls, or planting starters to a nursing home with your kids. Seniors who love to garden get cabin fever like no-one else, and you can help them out and bring some real joy to their day by supplying smiling kiddos to assist with a fun green activity.